An article by Blake Morneau for martlet.ca. 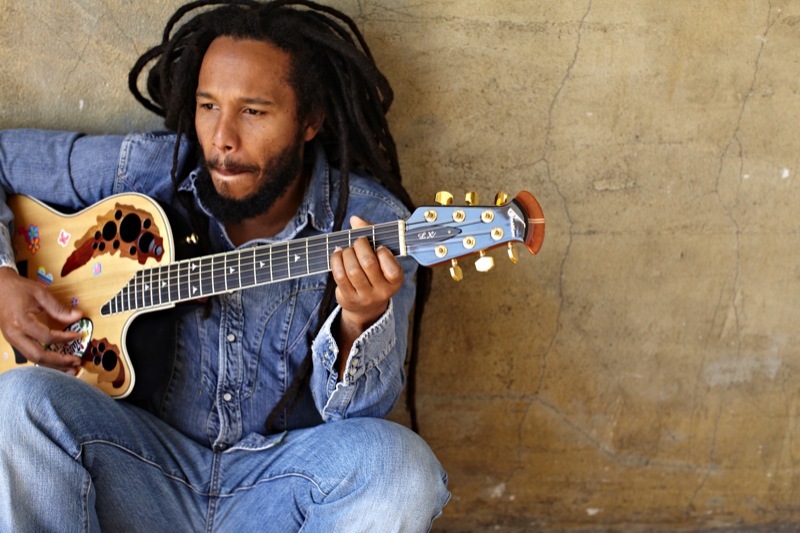 Since his musical beginnings in the Melody Makers in 1979, Ziggy Marley has remained at the forefront of the movement to spread the not only the music but also the message of unity and spiritual enlightenment that his father, the great Bob Marley, brought to the forefront of culture throughout the world. “I think that reggae music is bringing people together, spreading love. That is what the music is known for, togetherness and love, One Love vibe, you know, the peace vibe,” reflects Marley. And while it is important to expose children to messages of love and positivity, there are times when adults need to have their minds opened to new ideas and philosophies. With that objective in his heart, in 2011 Marley published Marijuanaman, a comic dedicated to changing the way people view the hemp plant. The book puts hemp in a wholly positive light, disassociating it from the “lazy stoner” label that has stunted much of the positive momentum the plant has gained in the public in recent years. “I just need to speak about it in a very balanced way, not in a silly kind of way of pot-headed and smoke marijuana and smoke weed way. That’s not healthy. It has its use, its place and its time. It’s not for everyone, just like alcohol is not for everyone. We just have to approach it logically and realistic,” says Marley, reflecting on the genesis of Marijuanaman. It’s an issue that has dogged much of the reggae genre over the years, as many people on the outside view marijuana as the vital component of the music. While it is true that the benefits of smoking the plant are often trumpeted by reggae advocates, Marley works tirelessly with projects like his comic book and his Ziggy Marley Organics food company to bring a wider base of information on the hemp plant to the public. “It’s not just about marijuana, it’s about the whole plant. Hemp is a big part of it, in terms of the eco-system, the environmental impact we are having on the planet. I think with the plant — all its different uses, its minimal impact on the planet — is beneficial to use. Whether it be for building material, clothing material, biodegradable plastic-like material. It’s another way we’re going to get ourselves away from the oil-based industry that takes a real big toll on the planet, the Earth and the atmosphere. So I think this plant is part of the solution to making a real impact on this planet,” says Marley.